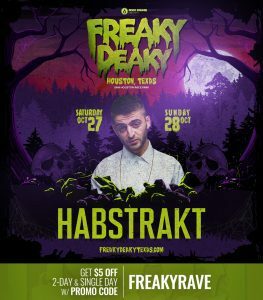 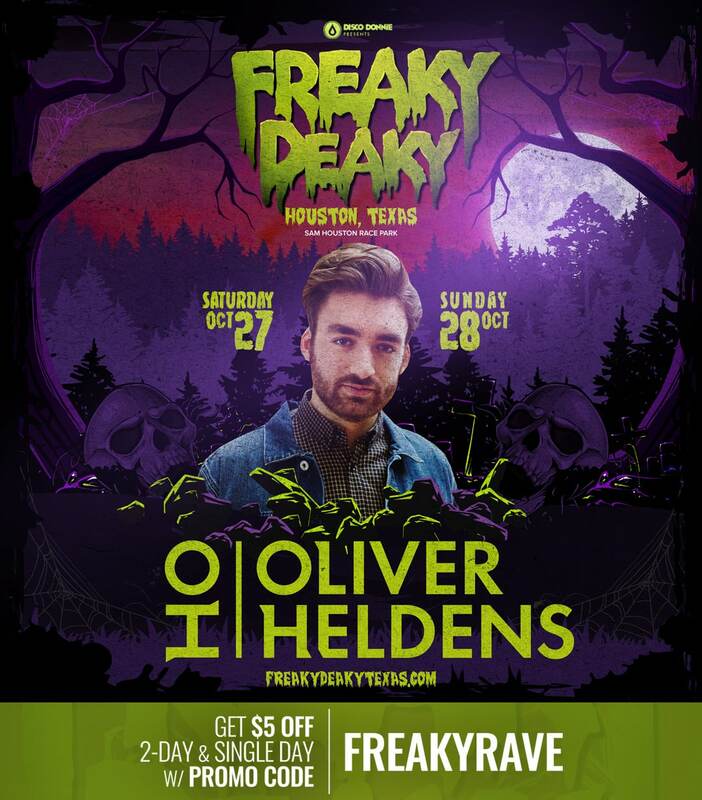 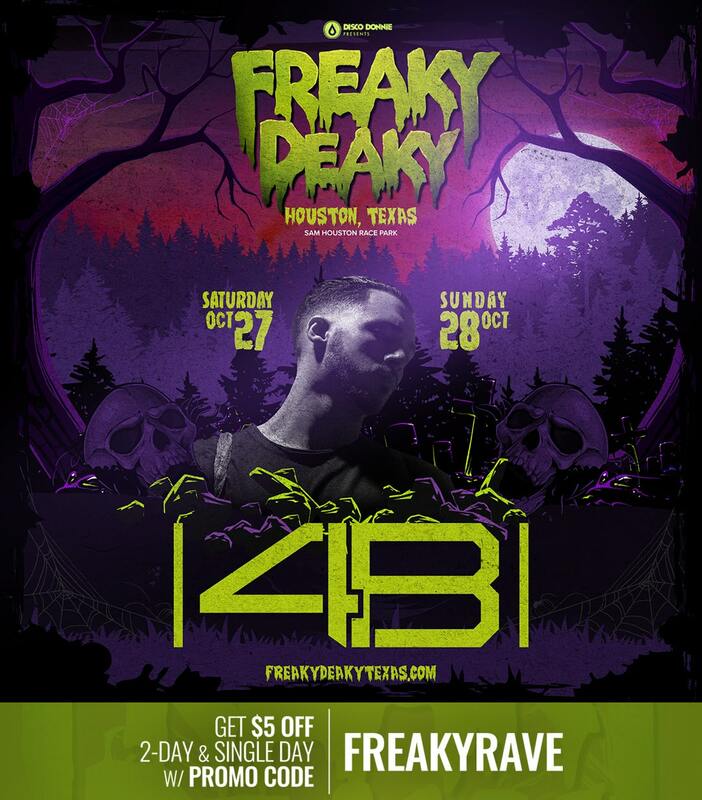 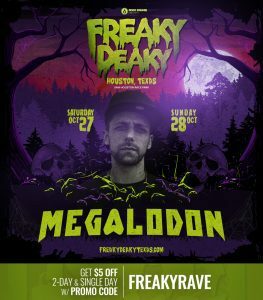 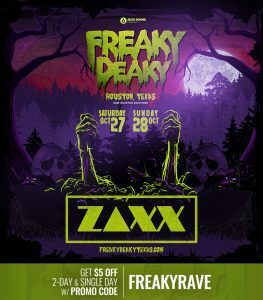 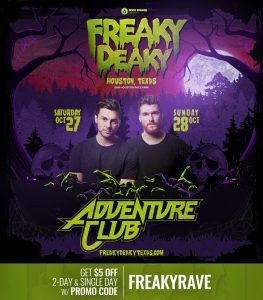 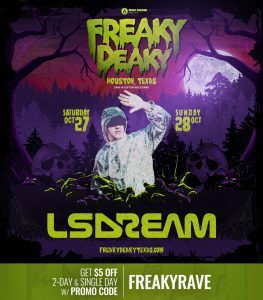 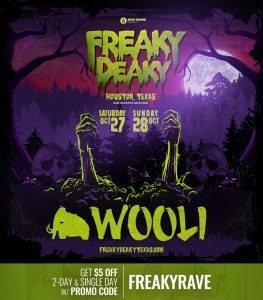 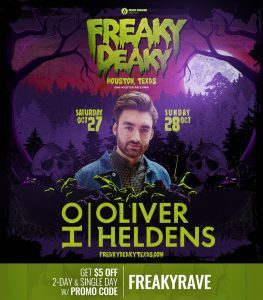 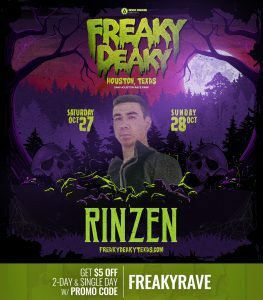 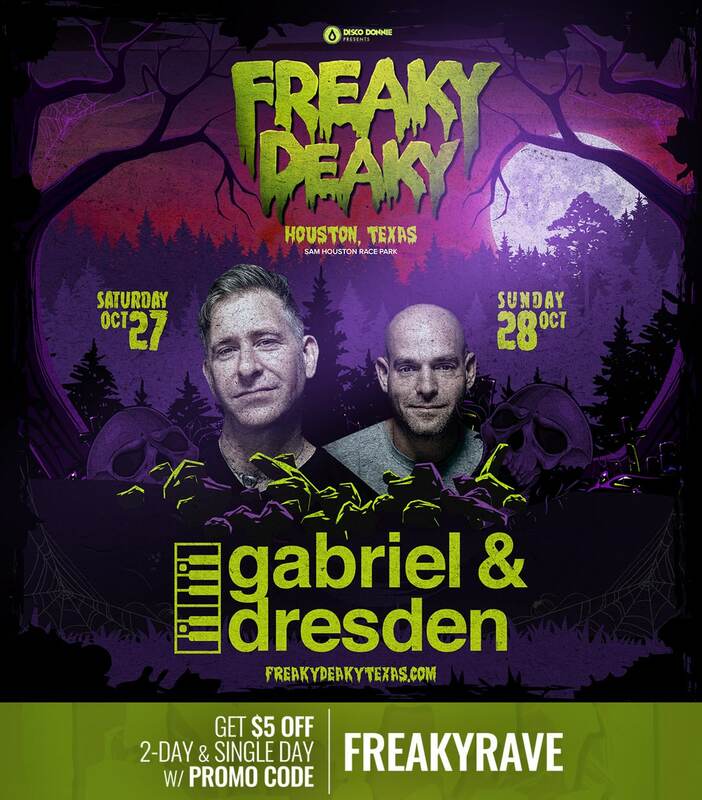 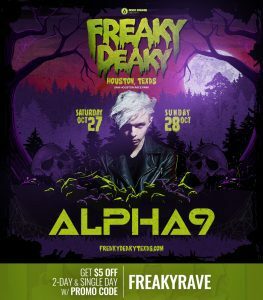 Initially touted at a 2-day festival with 3 stages, Freaky Deaky has upped the ante by revealing an additional 4th stage. This means ravers will get even more choice over this Halloween weekend festival. 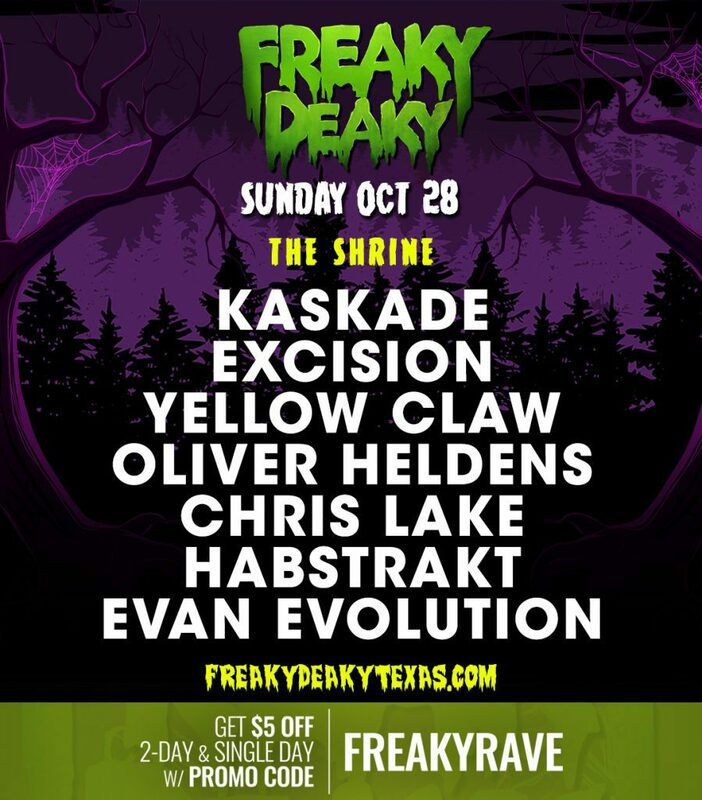 The Freaky Deaky 2018 stages come with fitting names for a festival of this nature: The Shrine, The Crypt, The Rising, and The Haunted Hallow. 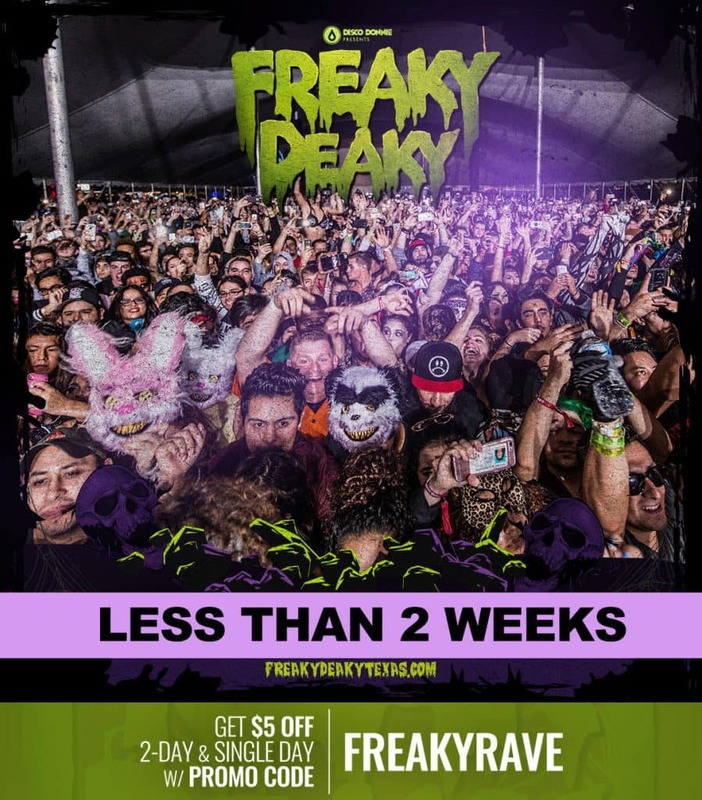 If you haven’t picked up your tickets, do it now because time is running out. 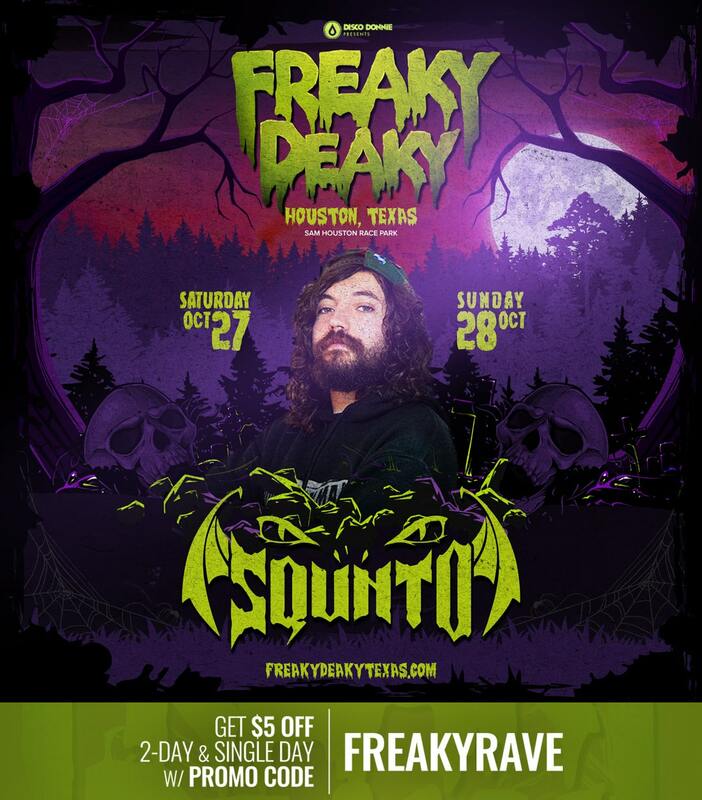 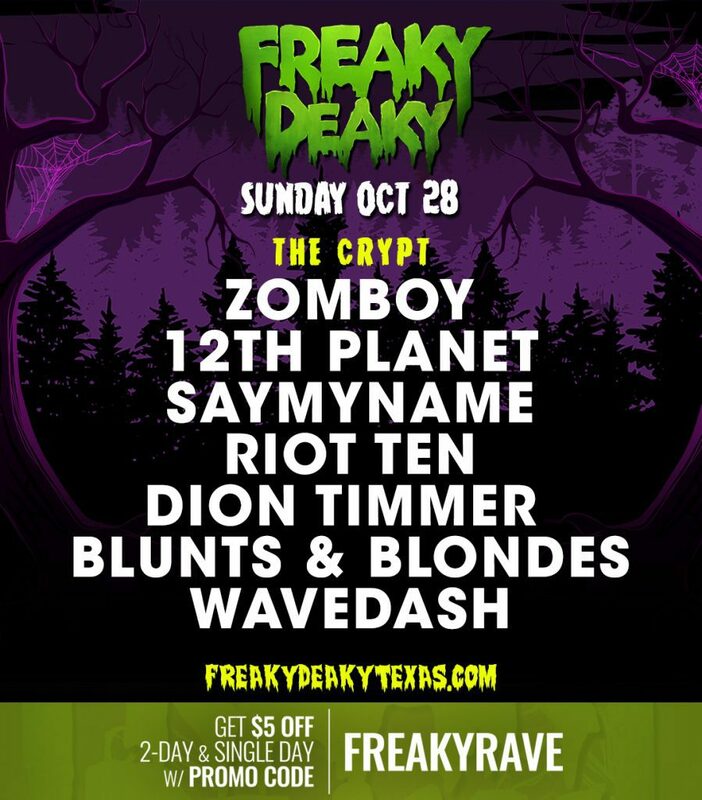 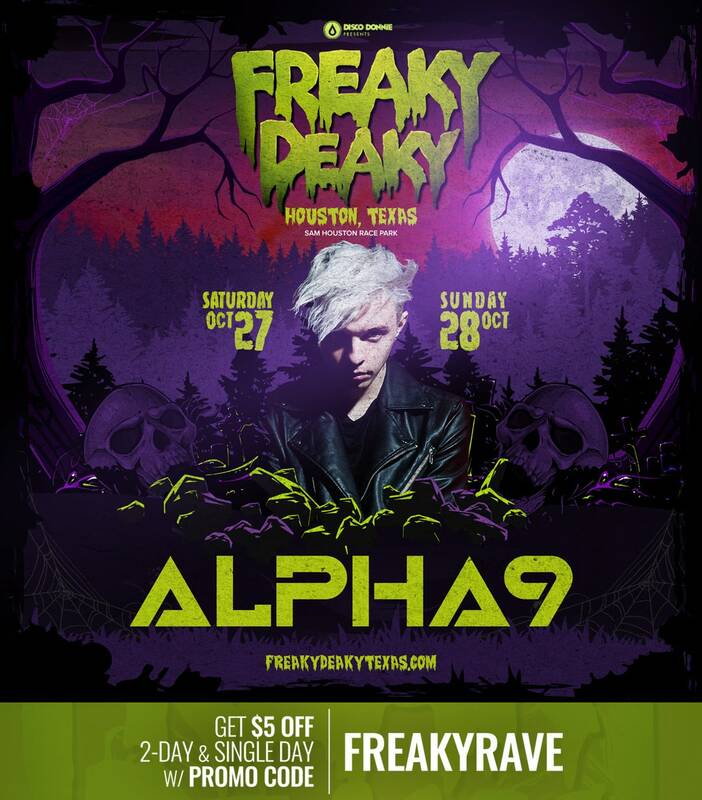 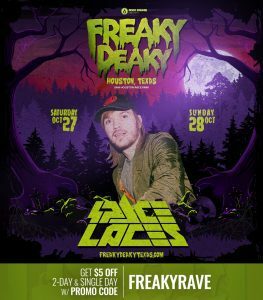 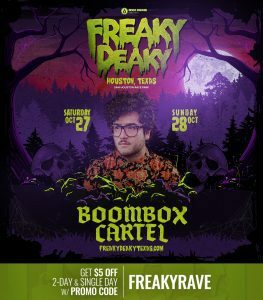 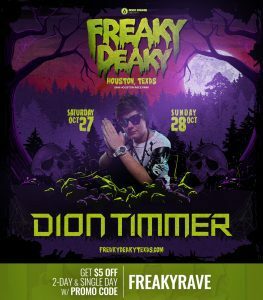 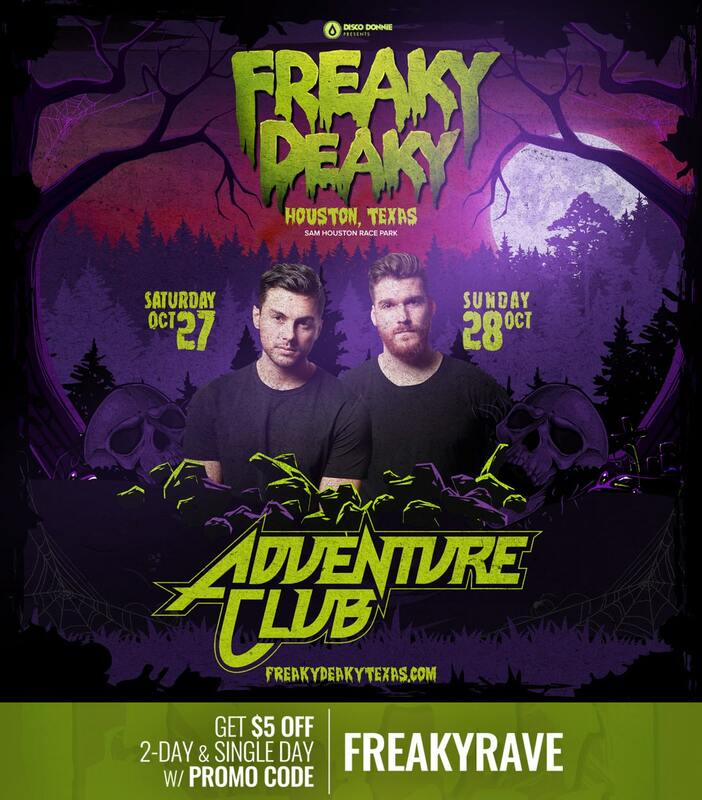 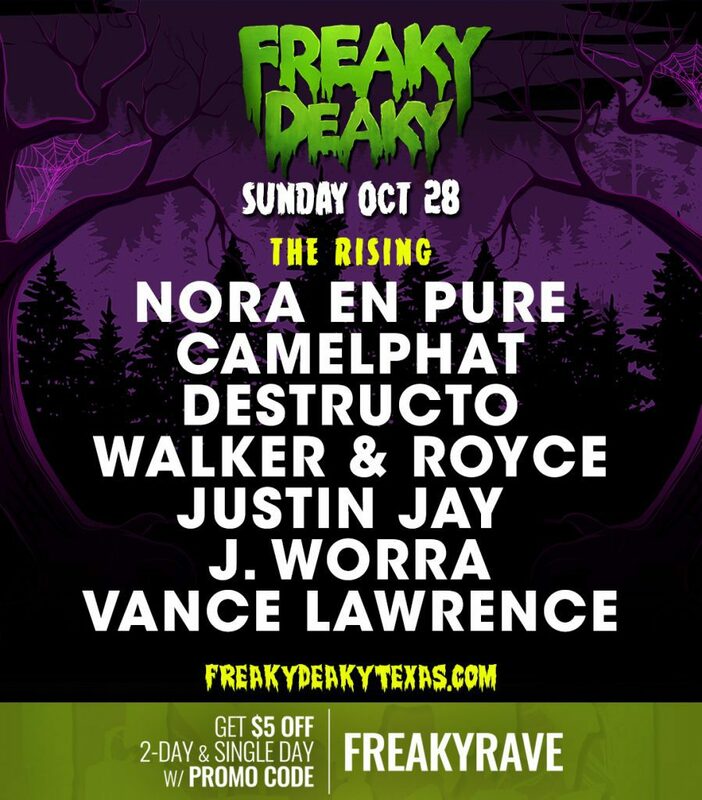 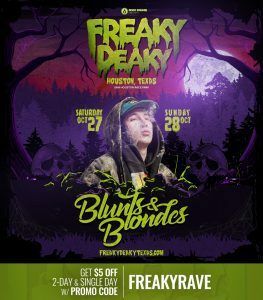 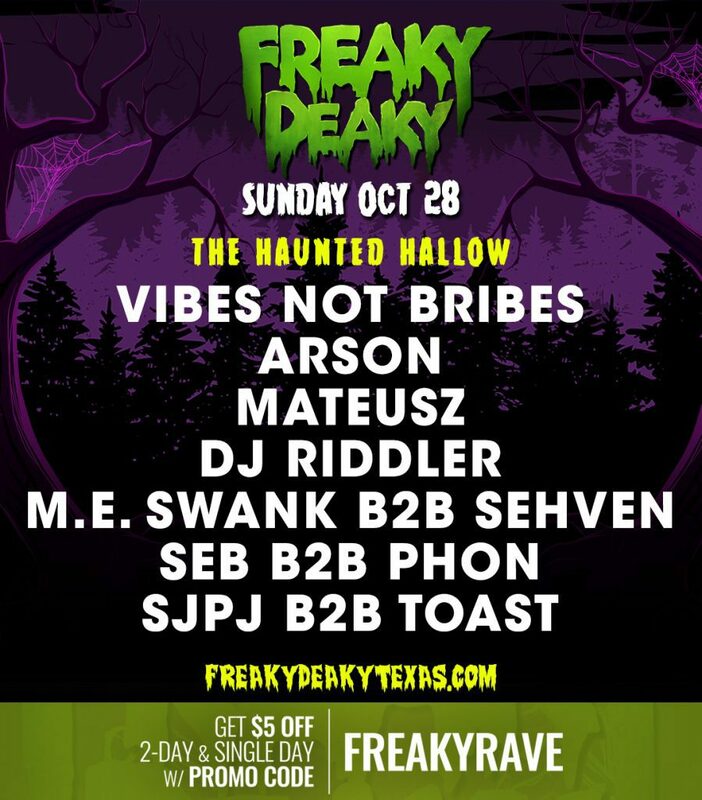 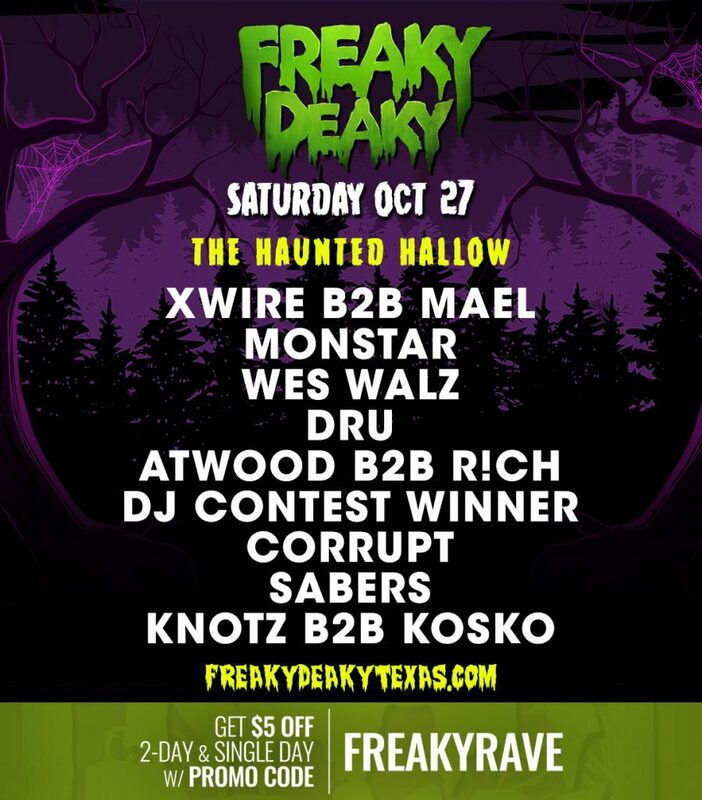 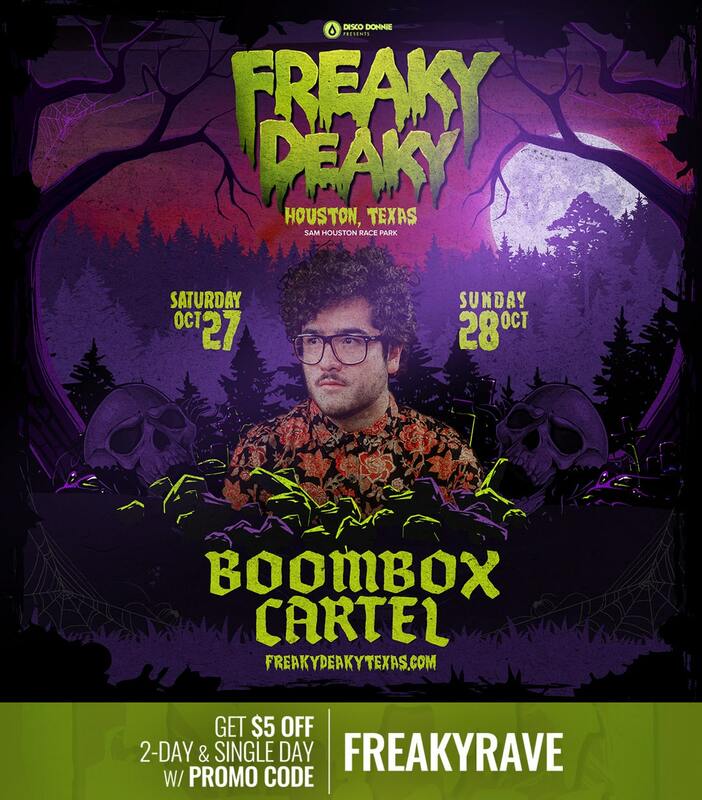 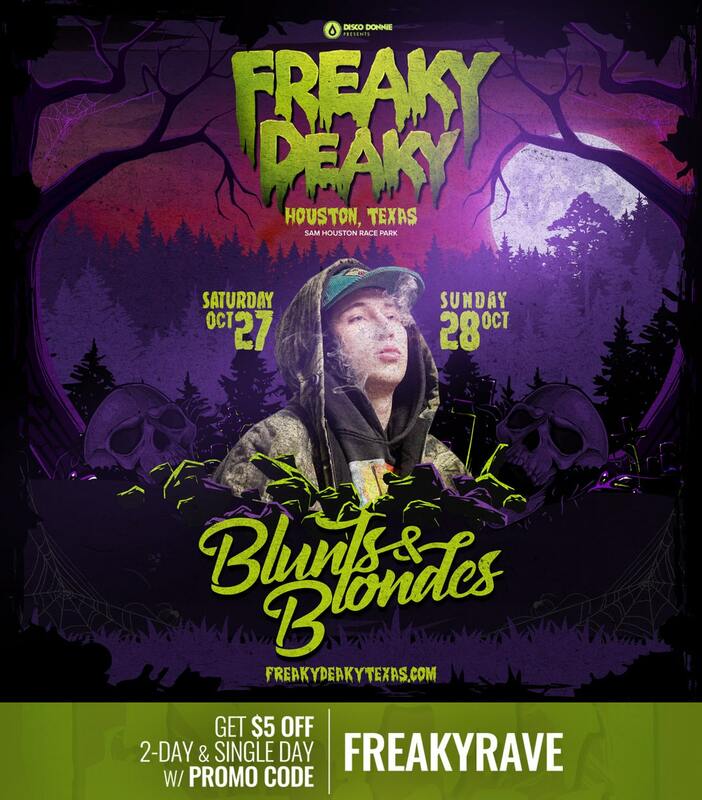 Use the promo code FREAKYRAVE for an easy $5 discount on your tickets. 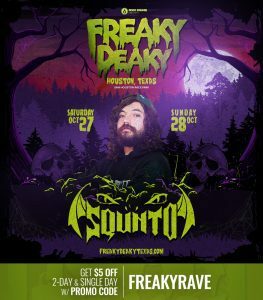 Here’s a step-by-step on how to use this code. 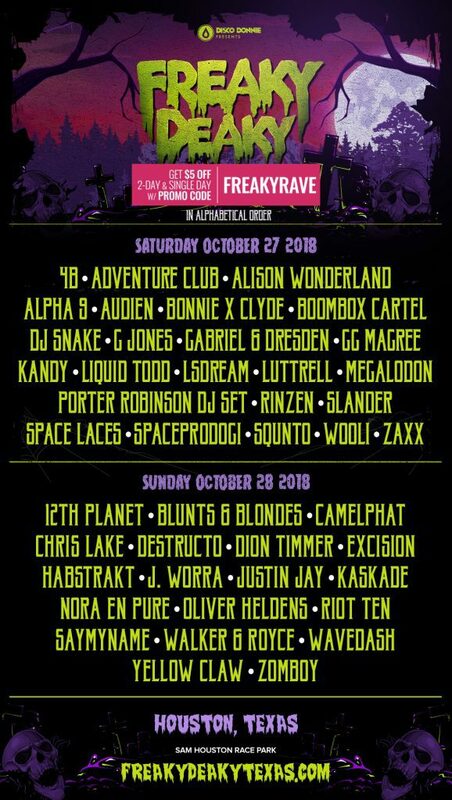 Each of these four stages will be packed with talent for two days providing you with an eclectic selection of some of the biggest names in electronic dance music across a variety of genres (check out the lineup here). The Freaky Deaky 2018 main stage will be known as The Shrine and showcase fitting main stage acts. 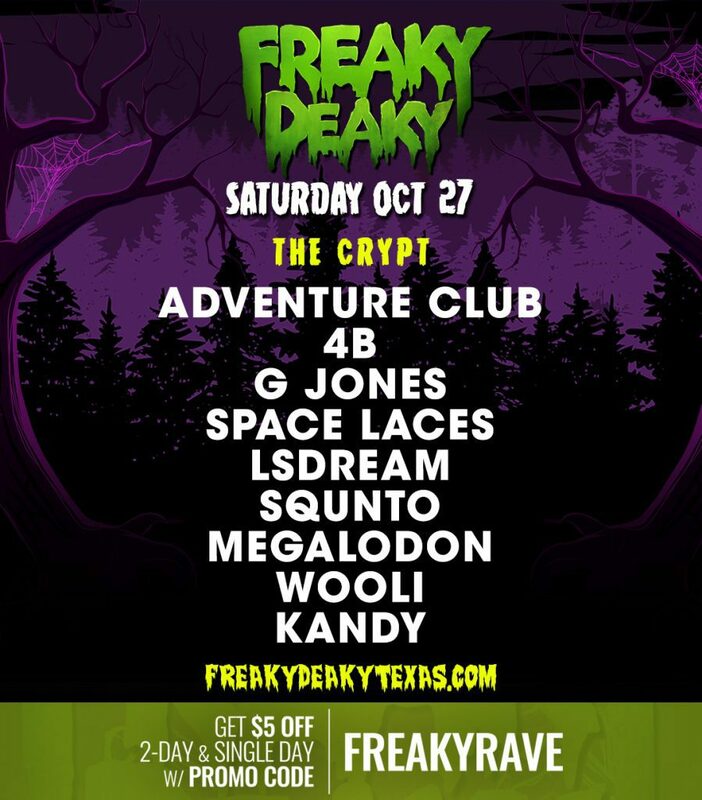 This is arguably where you’ve find all of the bassheads with a heavy lineup that is sure to satisfy. 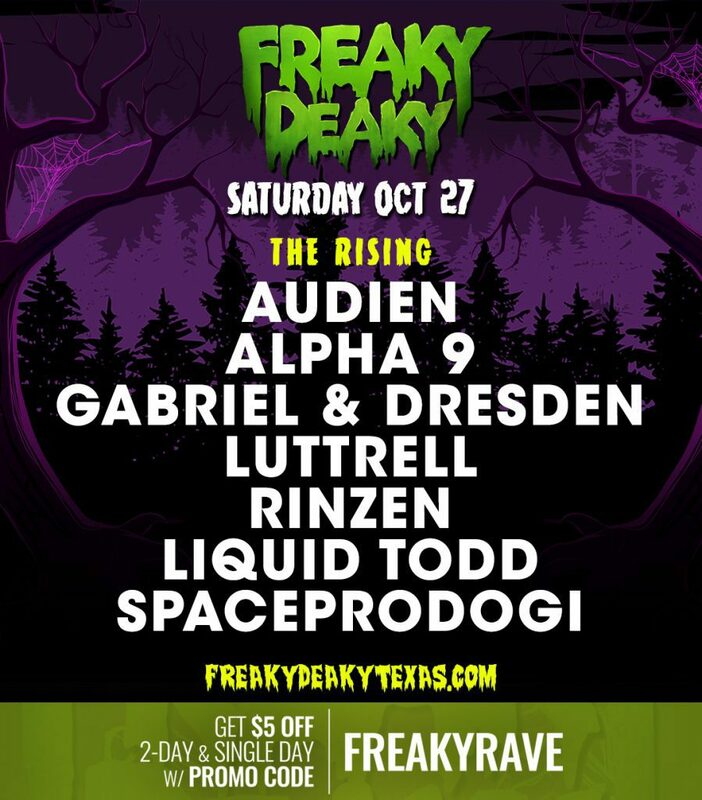 On the other end of the spectrum featuring trance and house among others, we have The Rising stage. 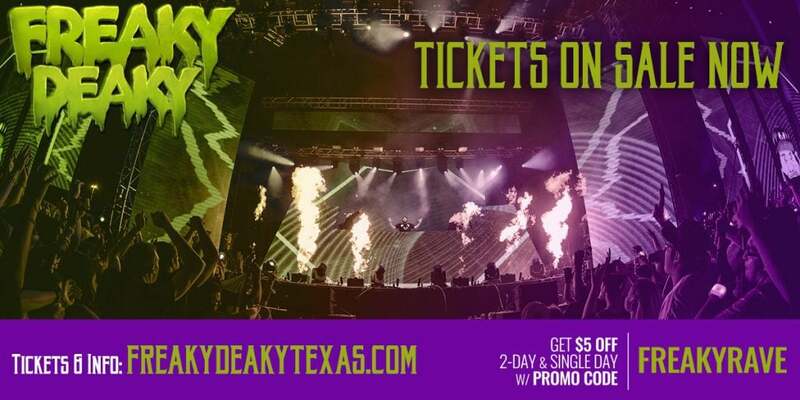 This year’s 4th stage features supporting talent, curated B2B sets, and the DJ contest winner. 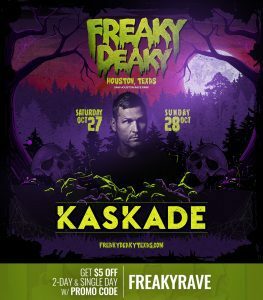 Who knows who you might discover? 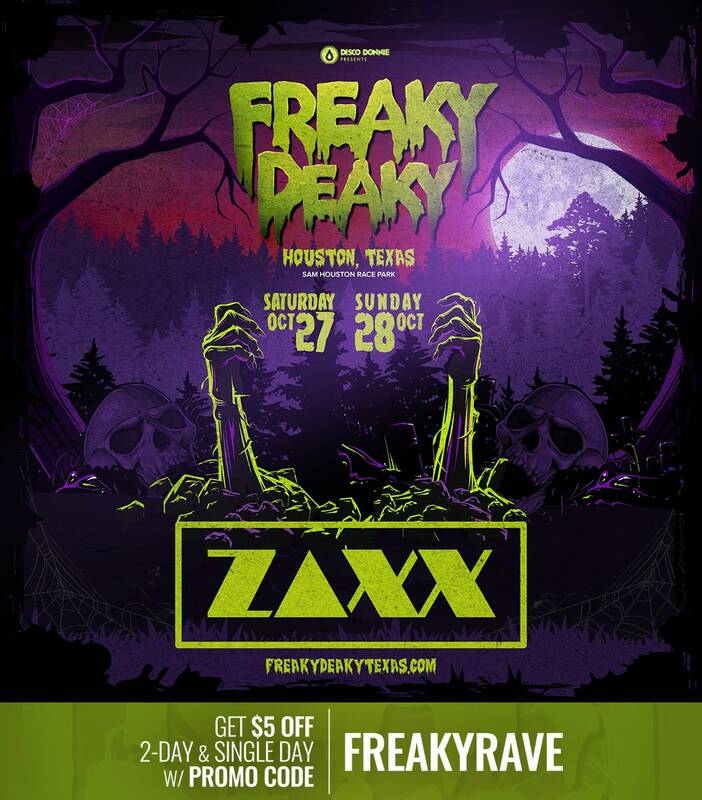 We literally less than 2 weeks away from one of the biggest Halloween festivals in the US. 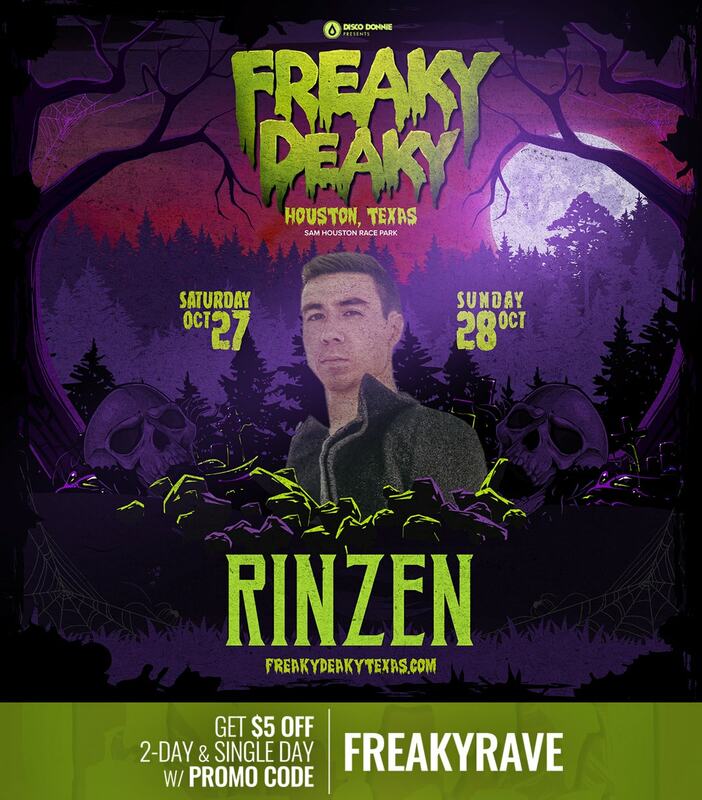 Make sure to pick up your tickets now if you haven’t already. 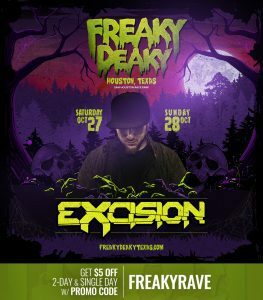 If you’re looking to go to the event in style, just know than VIP tickets are already over 80% sold out. 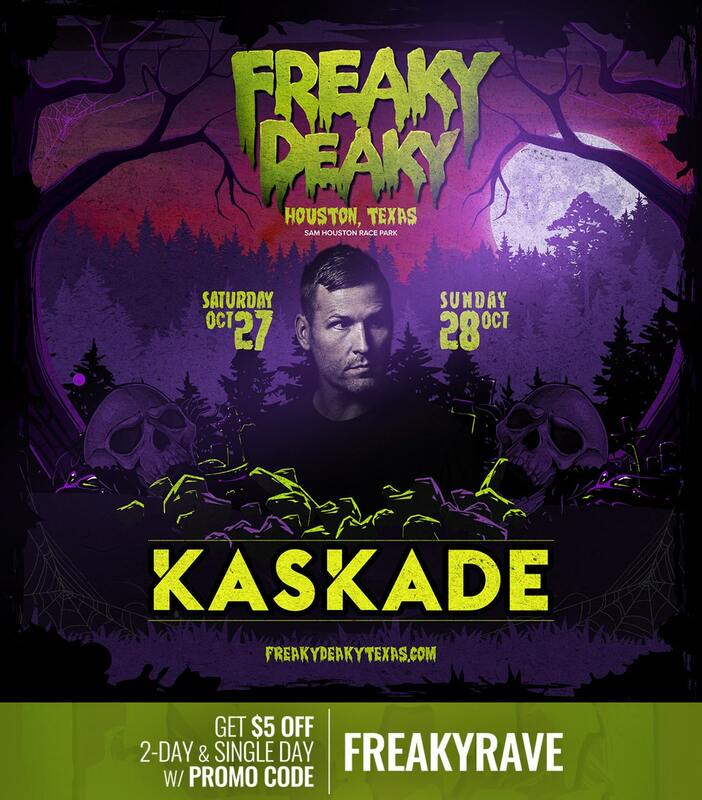 Also, single day tickets are available. 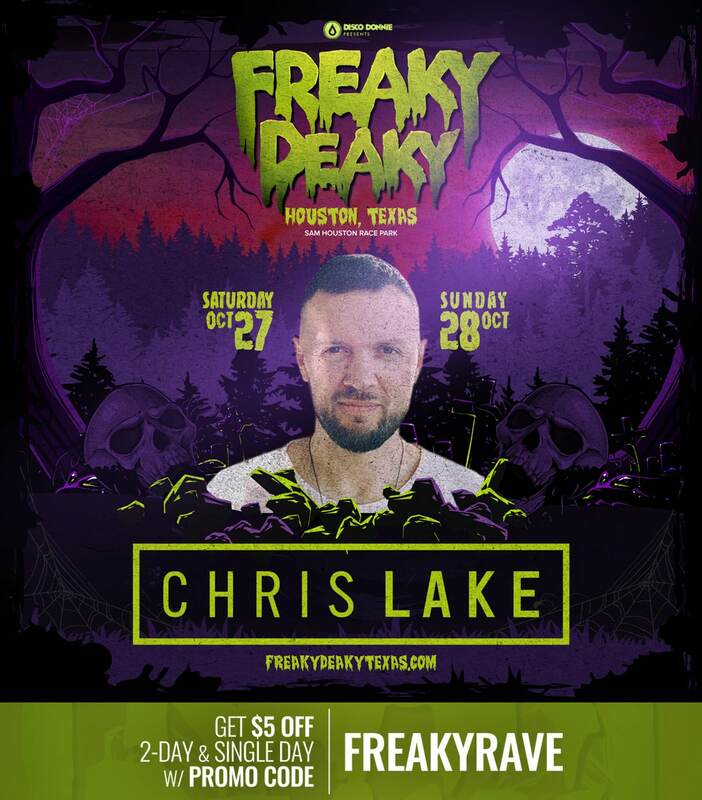 Be sure to use the promo code FREAKYRAVE for an easy and instant $5 off your tickets (applies to both GA and VIP, 2-day and Single Day). Learn how to use this code.